YoungstaCPT has dropped a two in one film clip for the tracks “Kaapstads Revenge” & “We Go Bos” from his “Kaapstad’s Revenge” mixtape produced by J-Beatz. ‘Kaapstad’s Revenge’ opens with an insert of the Hard Livings Gang founder, Rashied Staggie taken from the 1993 documentary ‘Cape of Fear’ where he mentions the Dutch’s colonisation of Cape Town in 1652, stating that because of these actions that have taken place in the past there will never be peace amongst our poor people. Fast forward to 2018 and this social disrupt has gone on for decades especially among the marginalised Coloured people of Cape Town but ‘Kaapstad’s Revenge’ is the path to victory for the excluded members of society. It is a message from the slave to the slave master and anyone else who doubts the power of the oppressed. We Go Bos’ on the other hand is a classic ode to the Coloured party lifestyle. ‘Bos’ is Cape slang for crazy, so it brings the enjoyment of the hood to life but in a polished way. The transition from “Kaapstad’s Revenge” to “We Go Bos” shows that even within the darkness and pain we know how to celebrate the success we do achieve. In order to get there you sometimes have to pass through the tunnel but ‘We Go Bos’ is like the light at the end of it. The post VIDEO MP4: YoungstaCPT – Kaapstads Revenge & We Go Bos appeared first on PowerOfNaija.com. 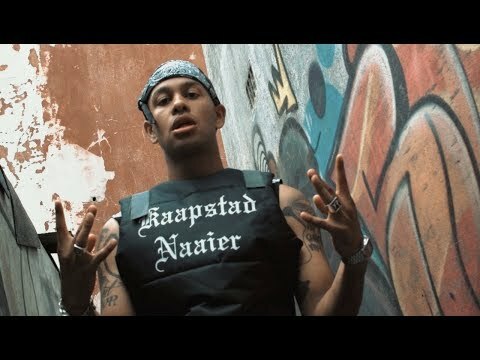 0 Response to "VIDEO MP4: YoungstaCPT – Kaapstads Revenge & We Go Bos"